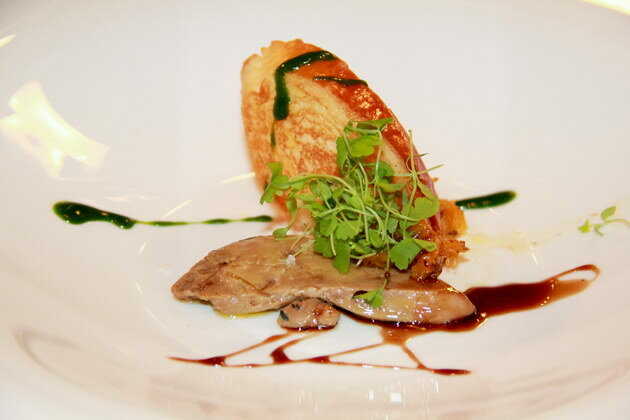 A ten course wine dinner is rare; usually it’s 5 courses which is plenty for my stomach. 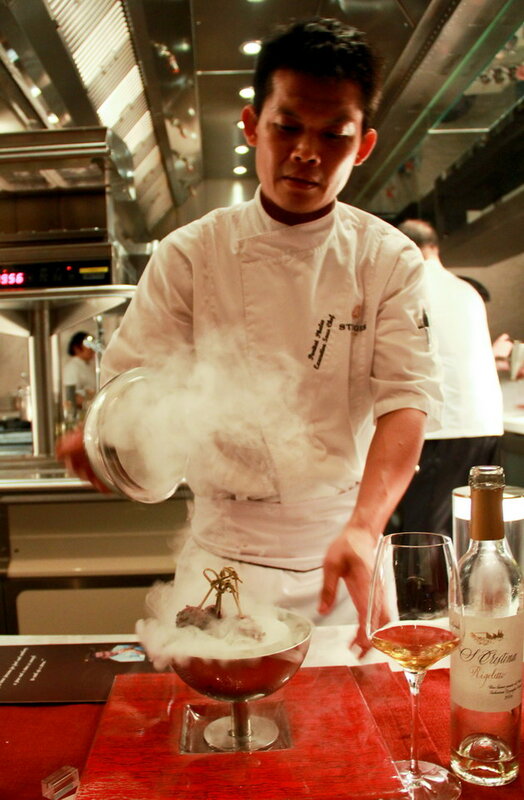 The last time I had a 12 course was in Hong Kong at Bo Innovation’s Chef table. But occasionally 10 courses do happen, and it is always a real treat. 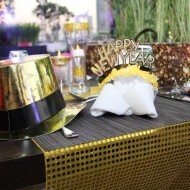 This time was at the Viu, St. Regis Bangkok. 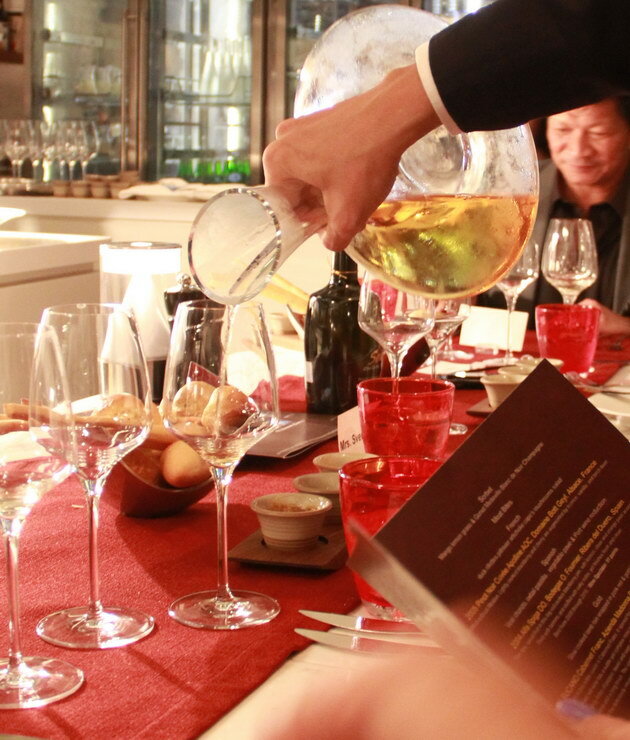 It was organized by St. Regis and fin wines. 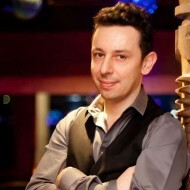 Fin (fabulous is needed) is a wine importer and also a gastronomy event organizer. 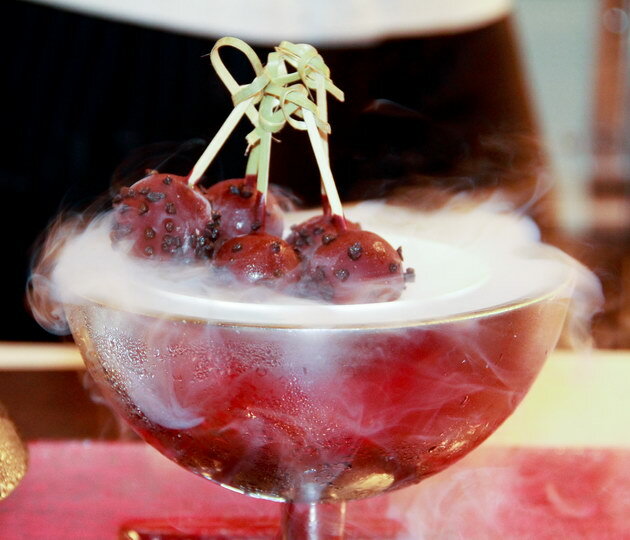 The menu was created by St. Regis chef executive Leonardo Concezzi. 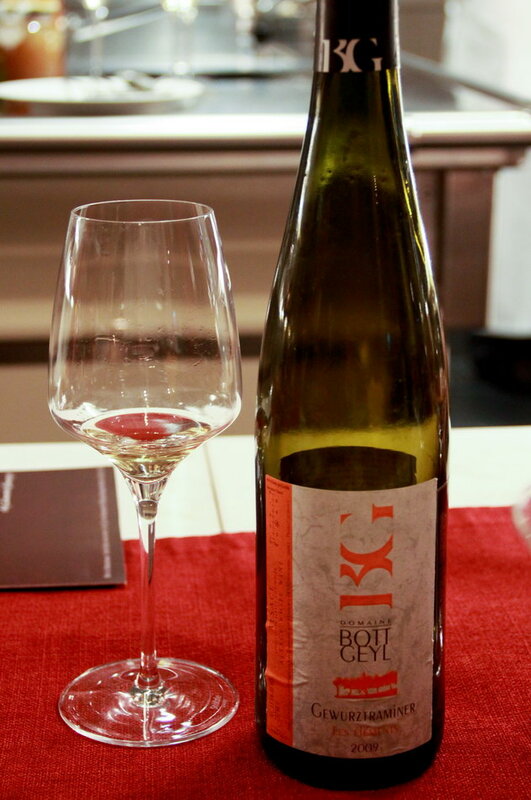 The wines were paired by khun Benjawan Wisootsat the co founder of fin wines. The event started at the outdoor balcony. The aperitif was a French rose champagne; Extra Brut Premier Cru AOC Gonet-Medeville, displays refreshing citrus notes, a very good start for the evening. Viu has a large open kitchen which occupies part of the dinning space. 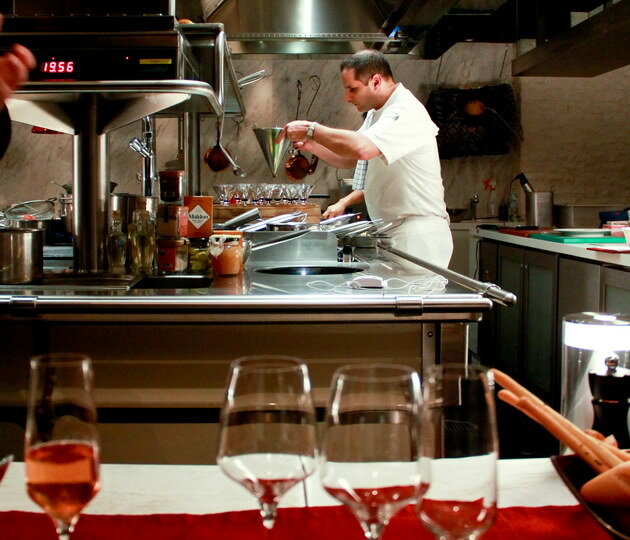 The chef table was set up facing the kitchen so all the dinners can see what the chefs are doing. It was a nice setup on the side we can talk among friends in the front we can see how our food is being prepared. 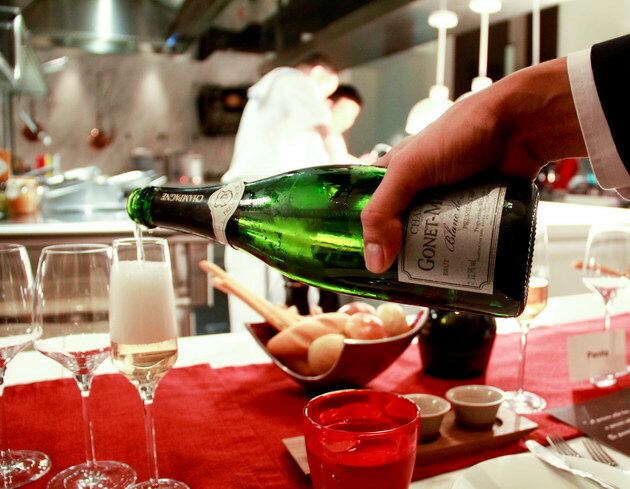 The chef also present each dishes himself and explain about the cooking process. 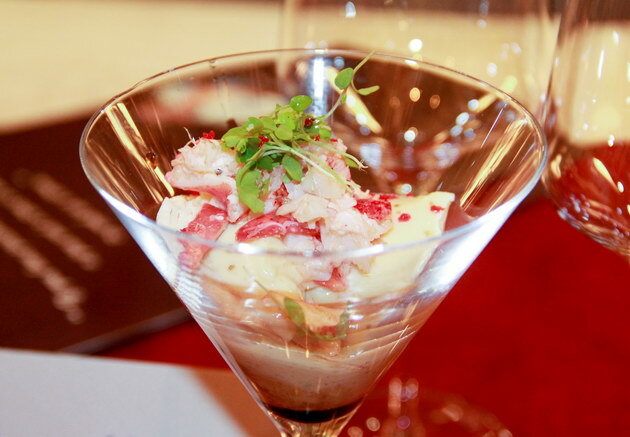 At the table chef Leonardo started with cold entrée; a chilled chawan mushi with Alaskan crab and goose-liver sauce. 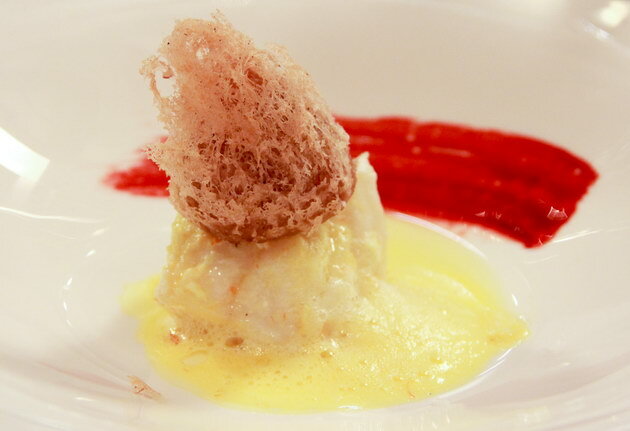 The egg custard had a very smooth texture combined with the sweet crab was amazing, paired with Champagne Blanc de Noir Brut Premier Cru AOC also from Gonet-Medeville. Next was another starter, a yellowfin tuna micuit with ponzu foam balsamic caviar. 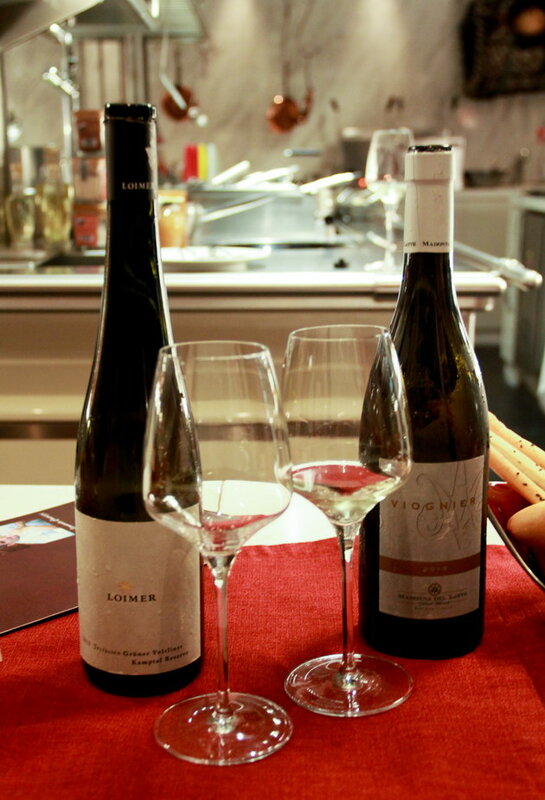 The complex taste paired nicely with 2010 Terrassen Gruner Veltliner DAC Fred Loimer, Kamptal Austria. 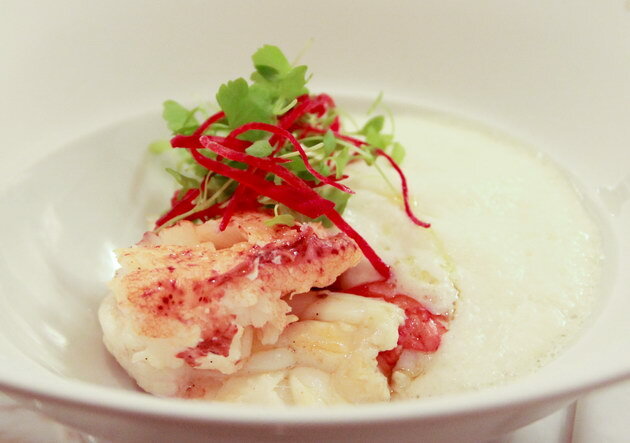 For the hot entrée we started with Boston lobster with a DOP burrata cheese, ponzu spuma. It was creamy and sweet nicely matched with 2010 Viognier Azienda Madonna Del Latte Orvieto from Umbria, Italy. Sous vide monkfish marinade in Asian herb top with a liquid foie gras taro dimsum. Chef Leonardo’s combines many cooking styles. This particular dish had a nice Chinese influence. 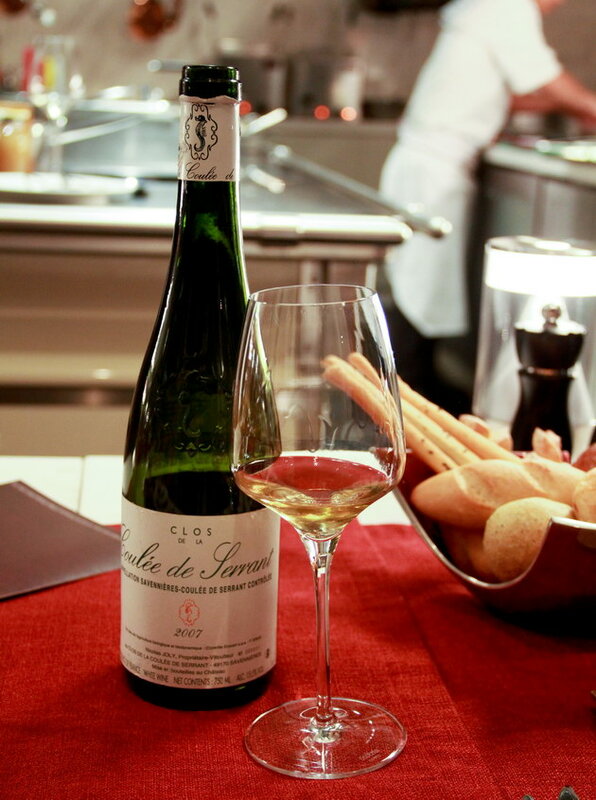 It was paired with; a 2007 Clos de la Coulee de Serrant Nicolas Joly from the French Loire. 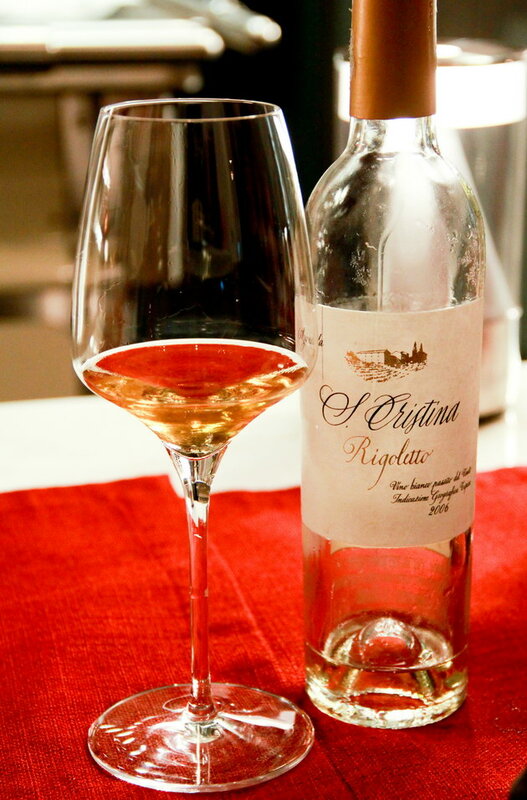 After left in the decanter it was full of apricot and peach notes with mouth watering acidity. 56 degrees sous vide Rougie foie gras with dark chocolate Valrhona and mango sauce; paired with 2009 Gewurztraminer Les Elements AOC Domaine Bott Geyl from Alsace. 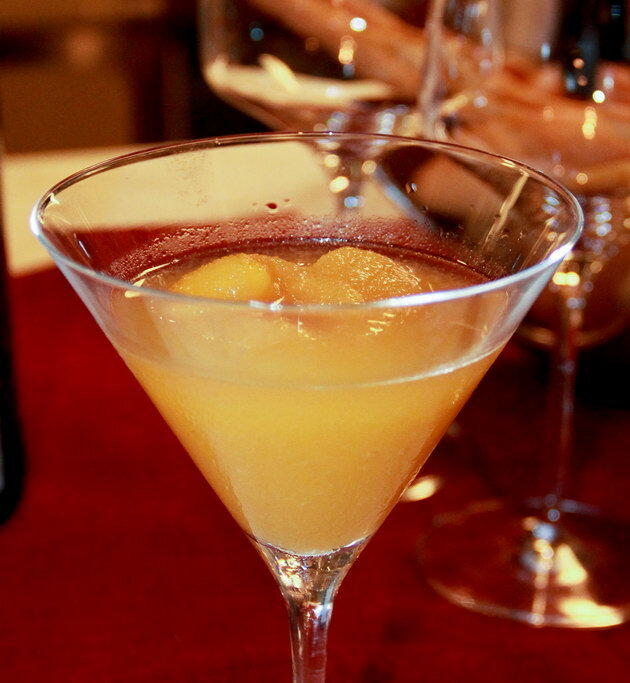 To clean our palates, mango-lemongrass sorbet with Gonet-Medeville Blanc de Noir Champagne was served in a martini glass. This means after this will be the main courses, 4 of them. 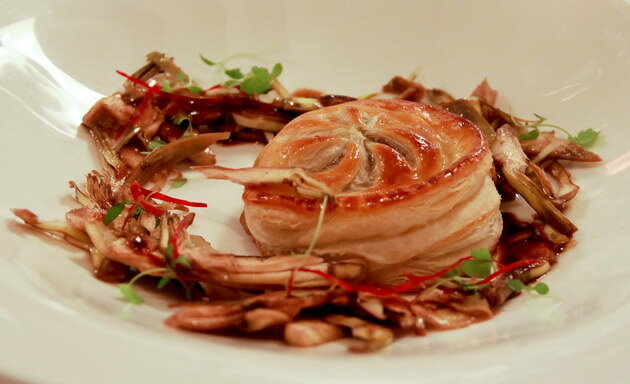 French duck rillettes pithivier, artichoke and mushroom salad accompanied by a 2005 Pinot Noir, Cuvee Apolline AOC Domaine Bott Geyl, from Alsace. This pinot noir was a one of my favorite for this night. Spanish veal chorizo, oxtail pastille, vegetable pave and port wine reduction a complex dish which went very well with the jamy and oakyness of the 2004 Alfa Spiga DO Bodegas O. Fournier from Ribera del Duero, Spain. 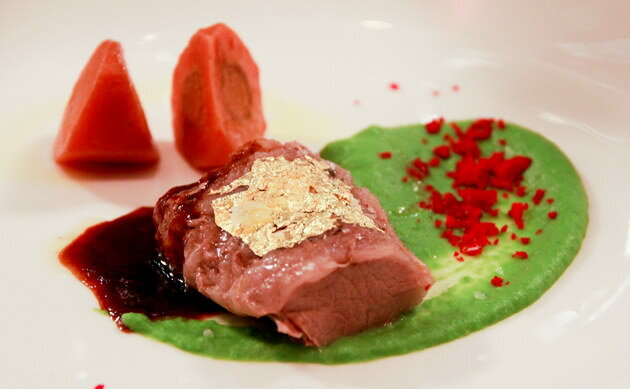 Slow cook lamb wrapped in pork net and gold leaf a beautiful dish. 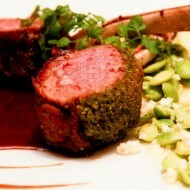 Serve with 2008 Sucano Cabernet Franc, Azienda Madonna Del Latte Orvieto, from Umbria Italy. 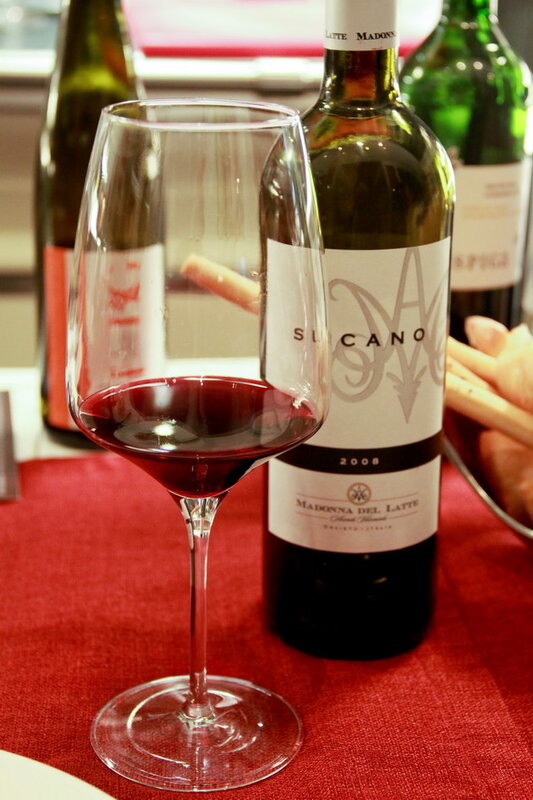 The wine had subtle yet complex nose with hints of black cherries, coffee, and coco power. The last main was the 52 degrees New York prime rib cubes. 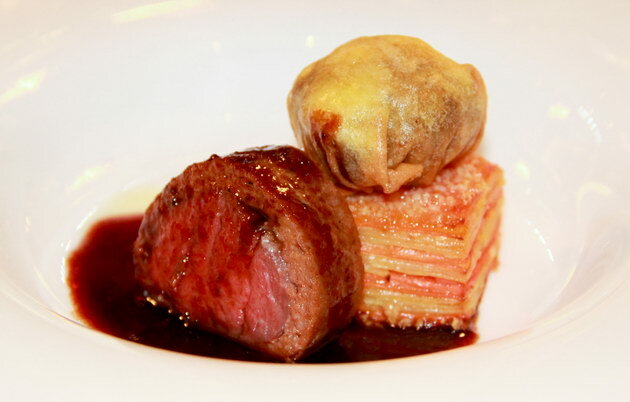 The chef uses the sous vide technique in cooking many of his dishes that night. A cooking method the cooks the meat slowly at below boiling point in a vacuumed plastic container. 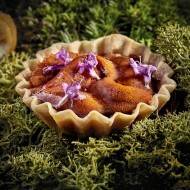 He explained that it preserve juices and softens the texture of the meat. 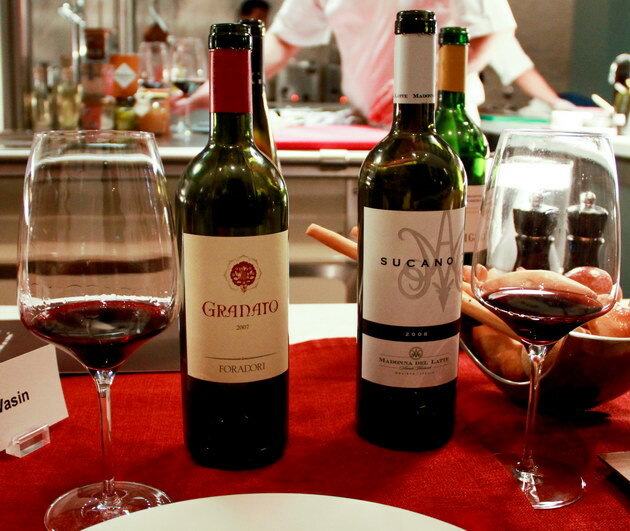 It was carefully match by khun Benjawan with a 2007 Granato, Elisabetta Foradori, from Trentino Italy. 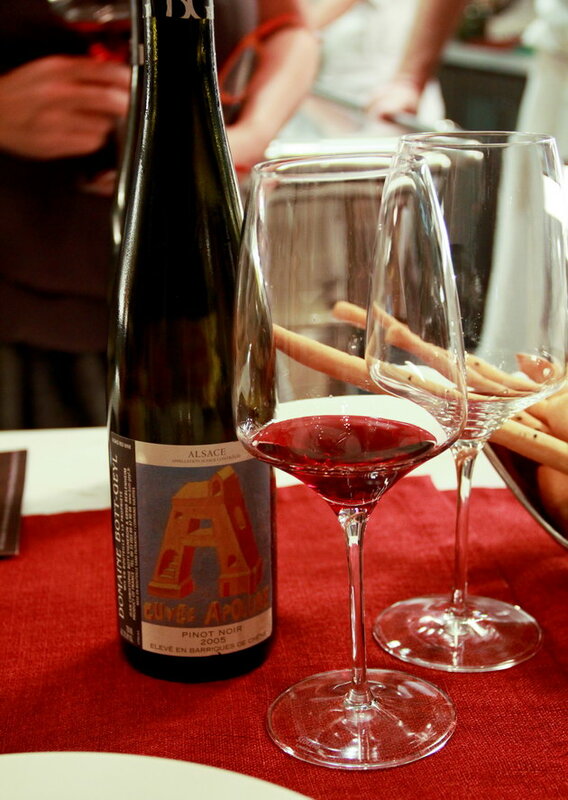 It had ripe siky thinins that caress the palate with raspberries and spices. Dessert was a blood orange compote, crystallized strawberries and crepe with rum resin ice-cream, another beautiful dish; citrusy, sweet and creamy. Presented with a rare sweet wine, 2006 Rigoletto “Santa Christina” IGT Zenato from Venice with aromas of ripe fruits, nuts, vanilla and honey. Another eye opener was the petit fours; vanilla ice-cream wrapped with dark chocolate valrhona. 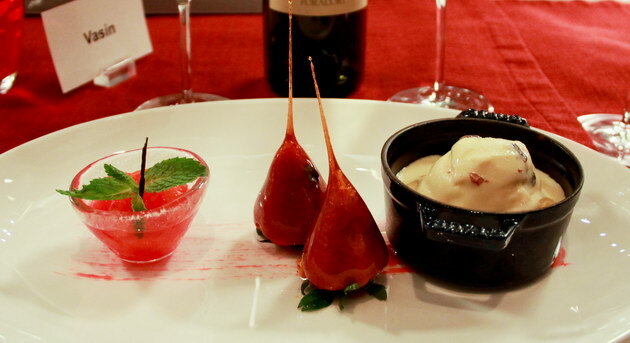 The evening was a fabulous treat with interesting varieties of food and wines. With just this one meal I had almost all of the type of meat and seafood I can imagine. 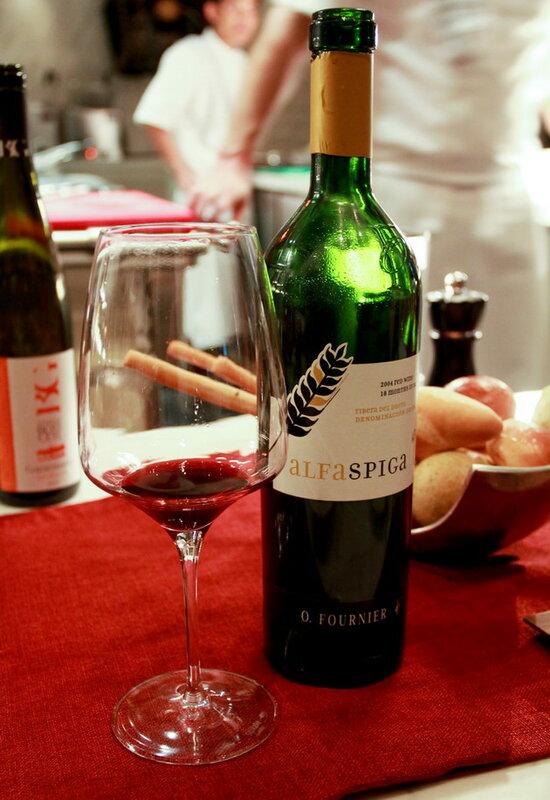 For the wine it is a journey into various lands each had its own complexity and character. 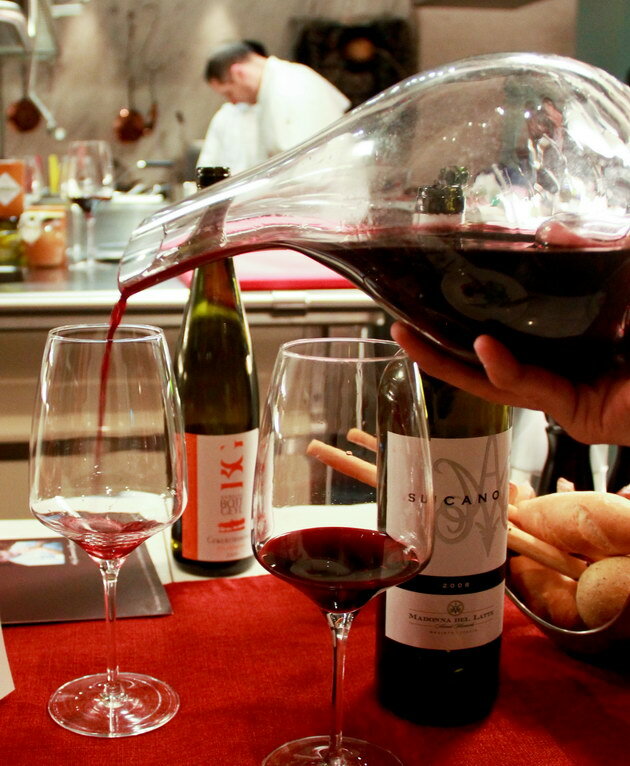 fin’s fabulous chefs table wine dinner is available with a call in reservation. 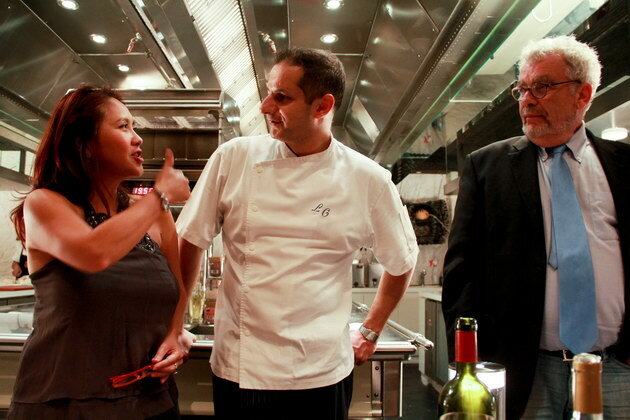 It is also possible to discuss the menu and wine pairing with the chef. 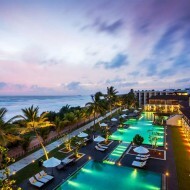 Call St. Regis at 02 207 7777.